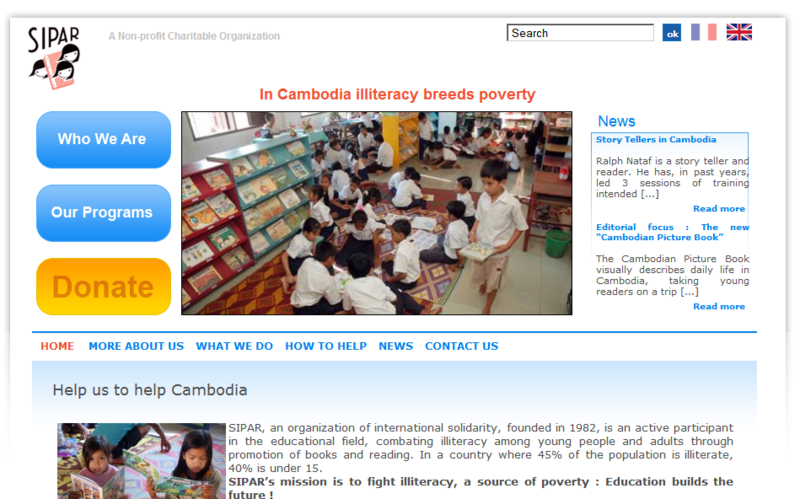 SIPAR, an organization of international solidarity, founded in 1982, is an active participant in the educational field, combating illiteracy among young people and adults through promotion of books and reading. In a country where 45% of the population is illiterate, 40% is under 15.SIPAR’s mission is to fight illiteracy, a source of poverty : Education builds the future ! For example, here is a PDF letter from SIPAR where they describe the kind of training they can provide to two new library assistants for the Indochina Starfish Foundation’s library (an undertaking supported by UWCSEA East). Next Post Do you need a place to donate used books?